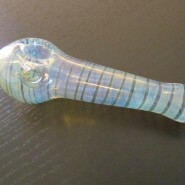 Home > Shop > Baby blue color solid glass smoking pipe. Baby blue color solid glass smoking pipe. New handmade Baby blue solid glass smoking pipe for weed, pipe 4" long. 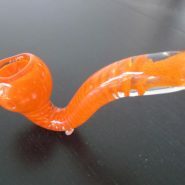 with free smoking pipe screens and free ship in the US. Love the color baby blue for a glass smoking pipe it fit to it perfectly as you all now having a smoke with new blue pipe at the first time let`s you set the record on the fact of the joy of it after smoking pipes for more then 5 time go and clean it for better quality of air flow in it the feel is like smoking in haven and if you go as should be. get yourself a glass pipes for each week or day. it`s great to mix them some times to change the feel of it. So just do it and make yourself happy pipe smoker.